"when God places a burden on our heart to pray for someone in our life who needs salvation, and we have an opportunity to share the Good News with that person (either personally or by someone else sharing), and the message is clear, the Holy Spirit can and will work in people's lives." Do you want to know more about Jesus Christ? 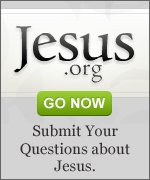 Go to Jesus.org to find answers to that and more. Prayer Breakfast Network being mission centered is focused on serving others to further the Gospel message of Jesus Christ. Through this cause we are governed by a set of Theological affirmations. We believe the Word of God, both the Old and New Testament, are without error in their original writings, absolute in their authority, and complete in their sufficiency for faith and life. We believe in the Triune God existing in three Persons; Father, Son, and Holy Spirit. These three Persons are one God having the same nature, attributes, and perfections. We believe in His eternal existence, Virgin Birth, His death on the cross as the substitutionary sacrifice for sin and His literal resurrection from the dead. He is now our High Priest interceding in heaven and will return in the future to establish His kingdom. We believe the Holy Spirit convicts us of sin, gives us life, indwells and seals us; He guides us and teaches us the Word of God. We believe that man, though created innocent and for fellowship with God, fell into sin and disobedience. Therefore all men are born into sin resulting in separation from God. All men need salvation to regain fellowship with God..
We believe that salvation is by grace and freely given apart from any works. Salvation involves repenting of sin, turning from one's own way accepting Gods way and through faith accepting Jesus Christ as Lord and Savior. All who receive Jesus Christ are regenerated by the Holy Spirit and become children of God. True salvation will be manifested by a changed life. We believe in the return of Jesus Christ to establish His kingdom, the bodily resurrection of the saved into eternal life with God and the bodily resurrection of the unsaved into eternal separation from God and punishment in the lake of fire.